What a fantastic party last week! 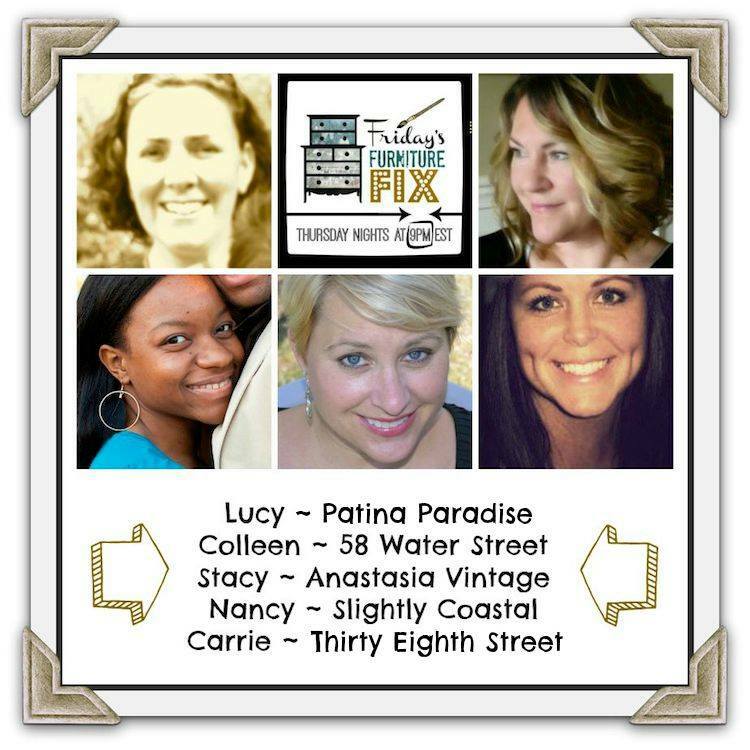 My co-hosts and I found it nearly impossible to choose our favorites. After a bit of sharing and trading, this is what we came up with. 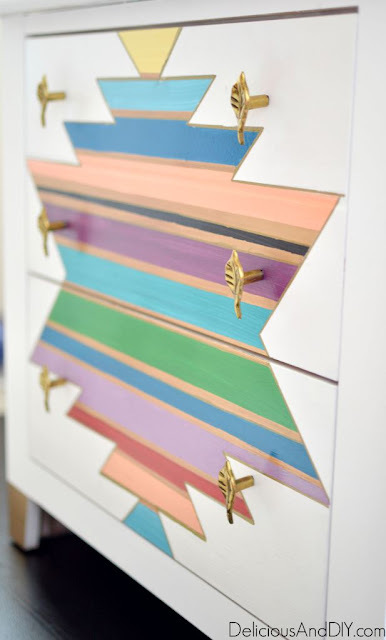 I fell in love with this colorful Southwestern-inspired dresser by Delicious and DIY. Look at those colors, and the gold details! 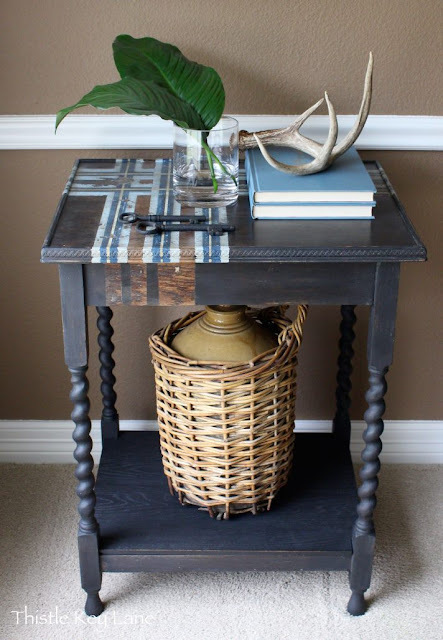 Lucy chose this Battle Scar Plaid table by Thistle Key Lane. 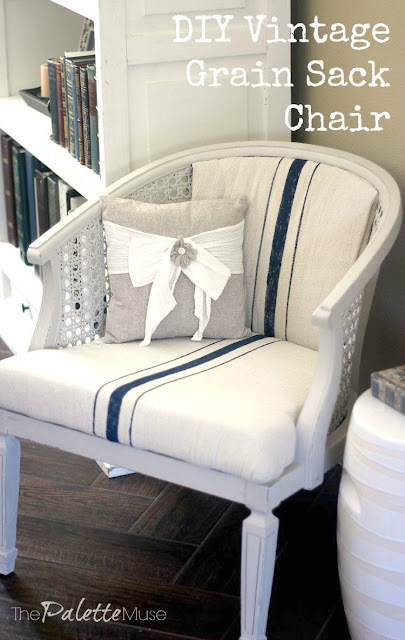 Stacy chose this grain sack chair, made over by Palette Muse. I have a set of these chairs, waiting to be redone, and this is great inspiration. 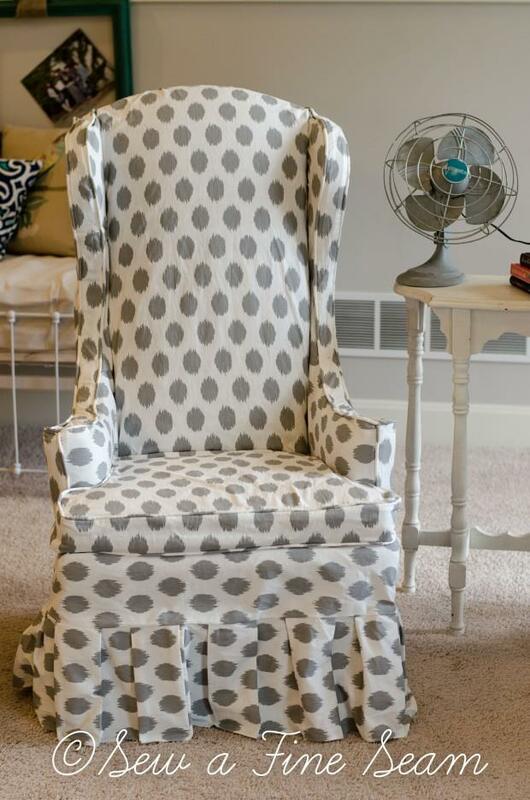 Nancy chose this slipcovered wing back chair by Sew A Fine Seam. 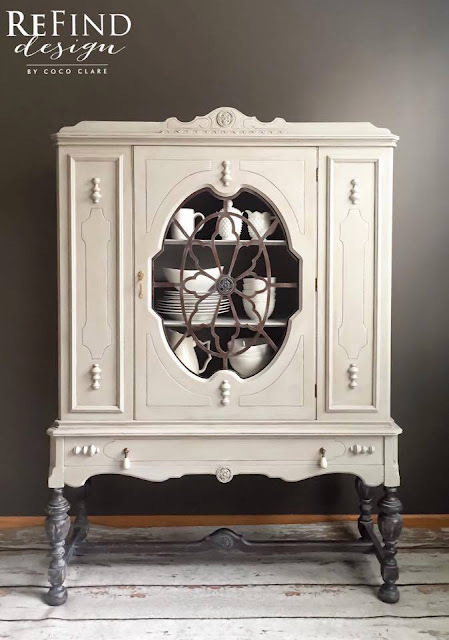 Carrie chose this gorgeous cabinet by ReFind Design. Look at those legs! 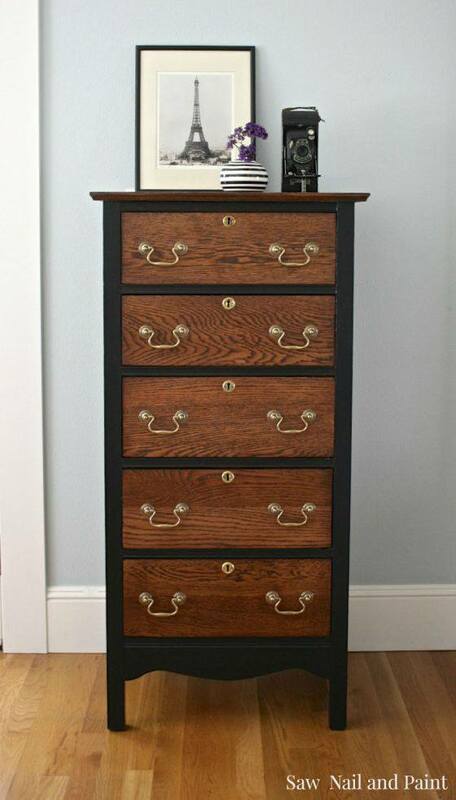 The most clicked image was this beautiful chest created by Susan at Saw Nail and Paint. Thank you so much for the Friday's Furniture Fix link party! You are so welcome - and thank you for your continued support of the party! You do beautiful work!